Everyone loves an underdog. And in science, when your theories start out being dismissed by one’s esteemed colleagues, it must be particularly sweet to prove the mainstream wrong with a Nobel Prize. Such is the story of German virologist Dr. Harald zur Hausen, winner of the 2008 Nobel Prize in Physiology or Medicine for his discovery that human papilloma viruses cause cervical cancer. Dr. zur Hausen, who also earned the 2008 Gairdner Prize, delivered the Gairdner Foundation’s 8th annual public lecture at MaRS last week to a packed house of 380 visitors, outlining the trajectory of his work as a “lone voice” in the mid-1970s through to the development by Merck&Co. 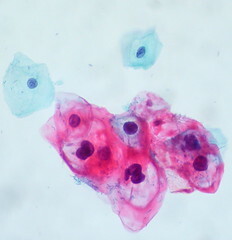 of the first HPV vaccine, approved by the U.S. FDA in 2006. Gardasil is the first vaccine developed to prevent cervical cancer, precancerous genital lesions and genital warts due to HPV types 6, 11, 16 and 18, was approved for use in girls and women 9-26 years of age. The science certainly looks solid, although it’s not known if the vaccine’s immune-inducing effects will last a woman’s lifetime or perhaps require a booster shot as many vaccines do. Other panelists following Dr. zur Hausen — including gynecologists Dr. Nancy Durand of Women’s College Hospital and Dr. Joan Murphy of Princess Margaret Hospital — stressed the devastation they see from cervical cancer, even in the developed world where regular Pap testing has dramatically reduced its incidence. But many questions remain and were raised throughout the evening: If HPV is linked to a range of male cancers, including 25 to 30% of oral cancers in both sexes, why are we not vaccinating boys? How can this (expensive) vaccine be made more accessible for developing nations where cervical cancer takes its deadliest toll? In March 2007 the Canadian federal government announced $300 million in funding to help provinces vaccinate their girls against HPV. That announcement was made in a budget speech. “When politics interferes with public health the public loses,” Picard said. His point being that a budget speech is an inherently political document and is not the place to announce funding for a ground-breaking vaccine that raises sensitive issues around adolescent girls’ sexual health. Three cheers for Andre’s courage to shine a light where its needed. But as with all controversial issues, it’s best to read widely and do your own research.